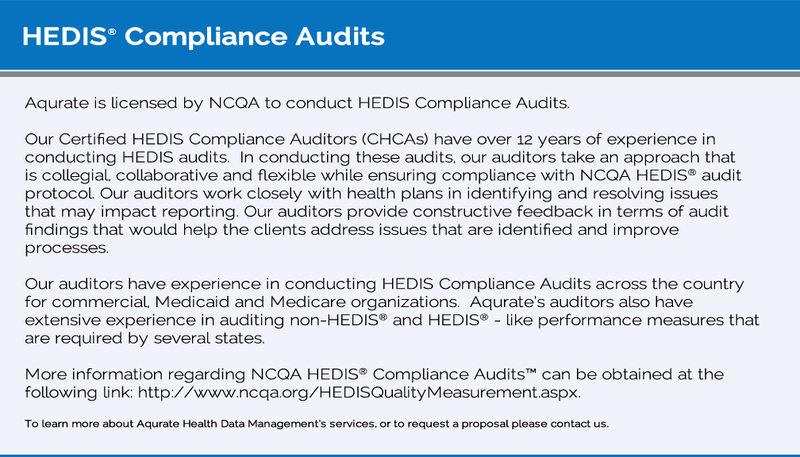 Our auditors take an approach that is collegial, collaborative and flexible. 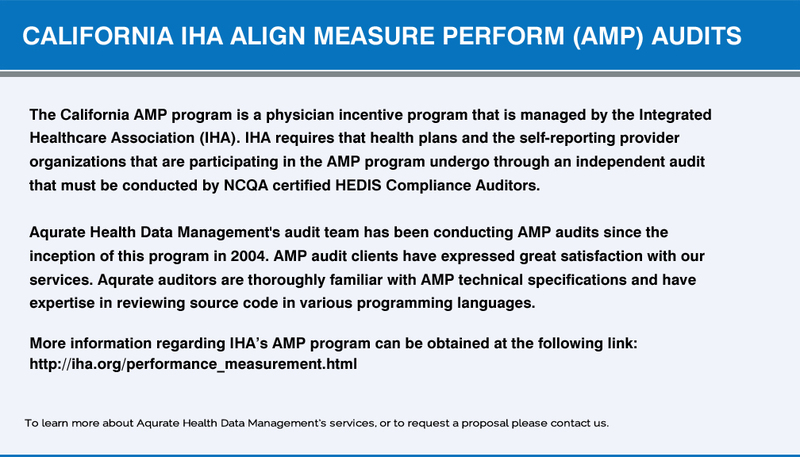 Our auditors work closely with health plans in identifying and resolving issues that may impact reporting. 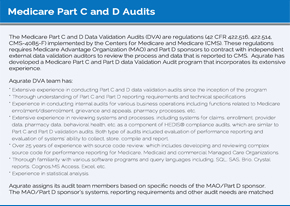 This section provides an explanation of our knowledge of and experience with Part C and Part D reporting requirements, technical specifications and data validation services. 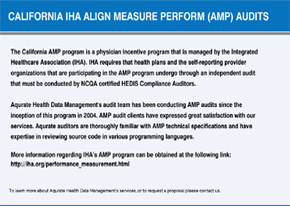 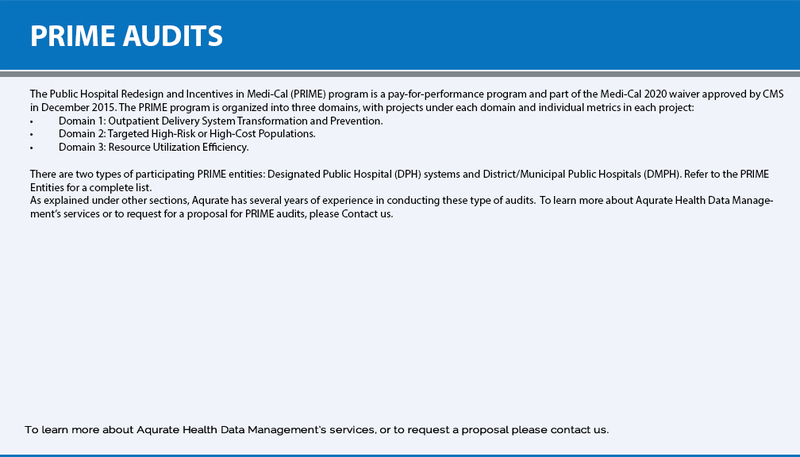 Our audit team has been conducting IHA Pay for Performance audits since the inception of this program in 2004. 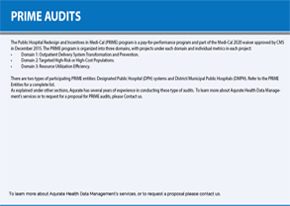 P4P audit clients have expressed high satisfaction rates with our services. 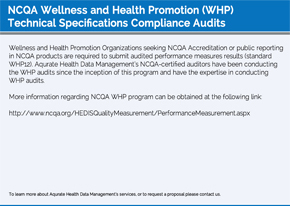 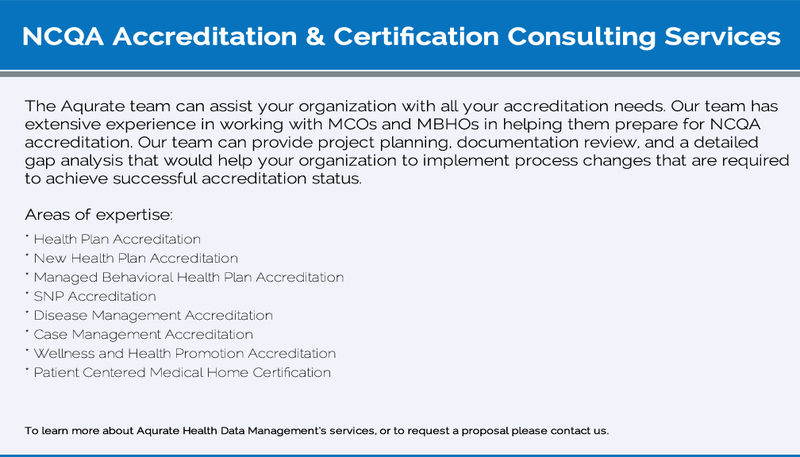 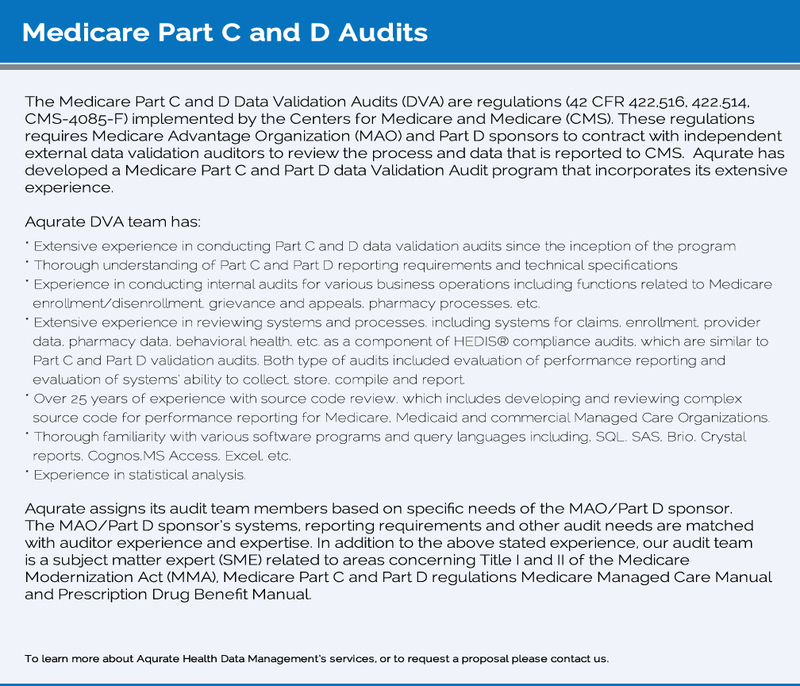 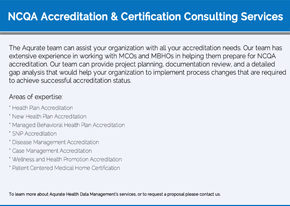 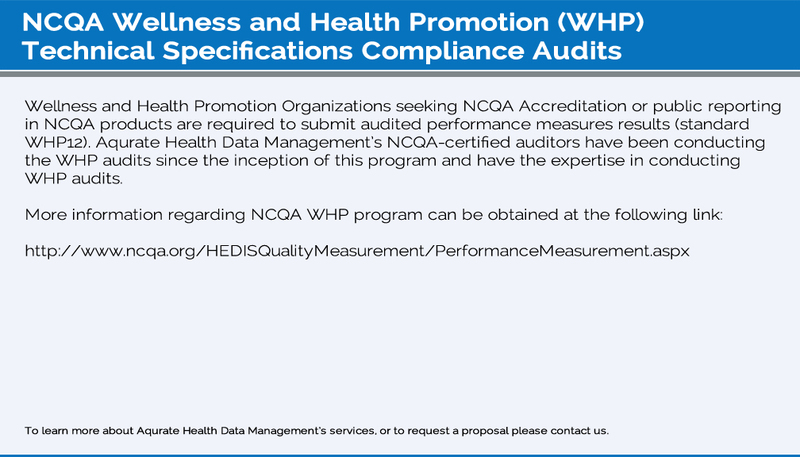 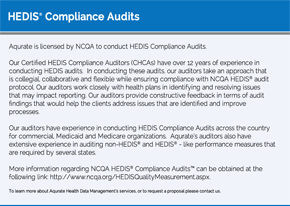 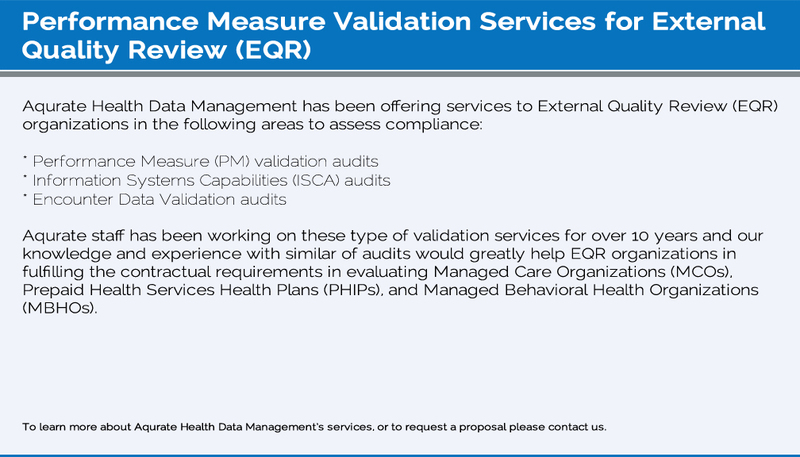 Aqurate Health Data Management’s NCQA-certified auditors have the expertise required to conduct the audit and assist your organization in achieving and maximizing reportable measures and rates. 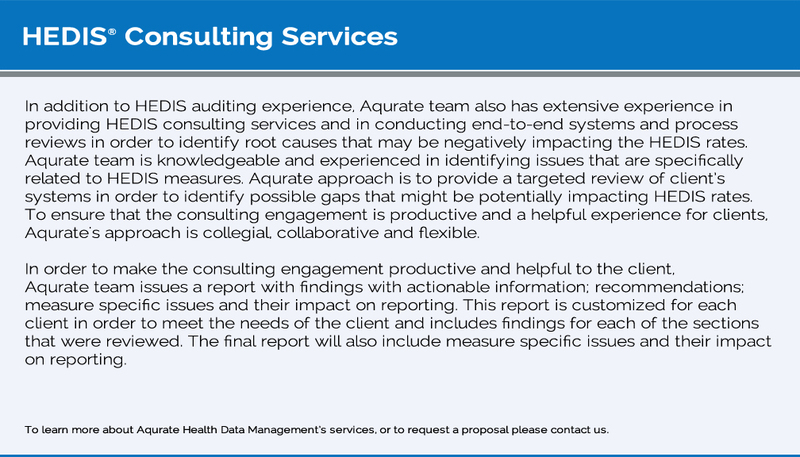 Aqqurate team are experienced in conducting end-to-end systems and process review in order to identify root causes that are negatively impacting the HEDIS rates. 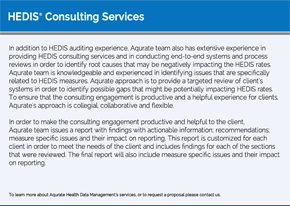 Aqurate team is knowledgeable and experienced in identifying issues that are specifically related to HEDIS measures. 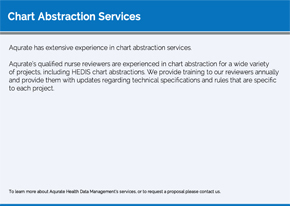 Aqurate's qualified nurse reviewers are experienced chart abstraction for a wide variety of projects, including HEDIS chart abstractions. 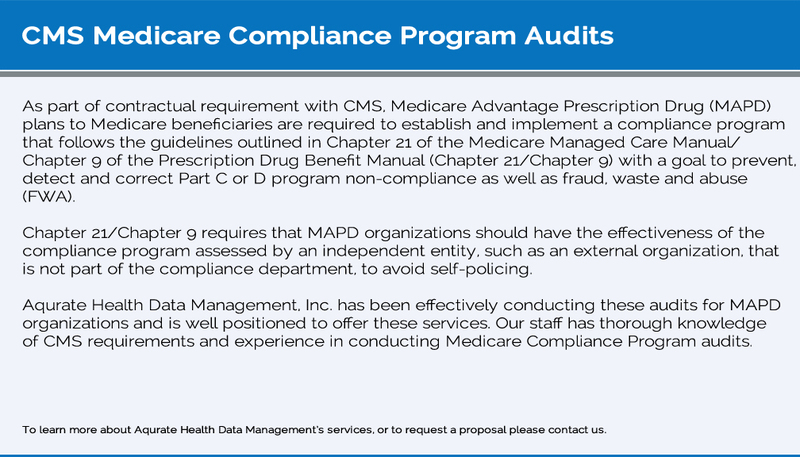 We provide training to these nurses annually and update them with the technical specifications and rules that are specific to each project. 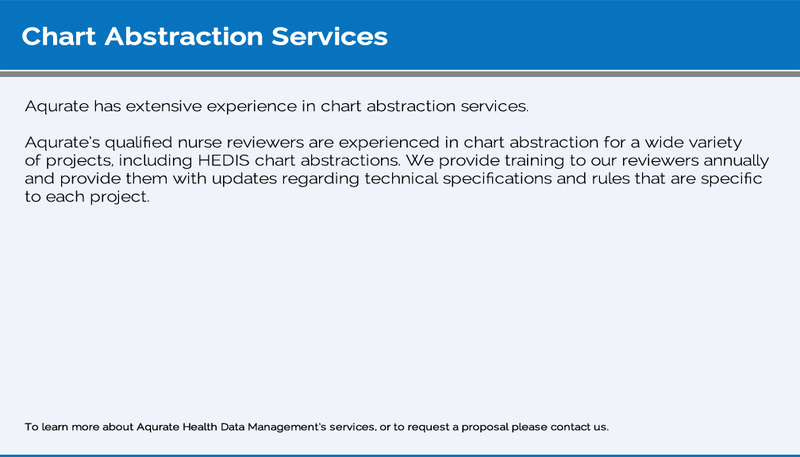 We are positioned to accept large chart abstraction projects on short notice. 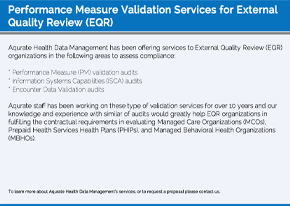 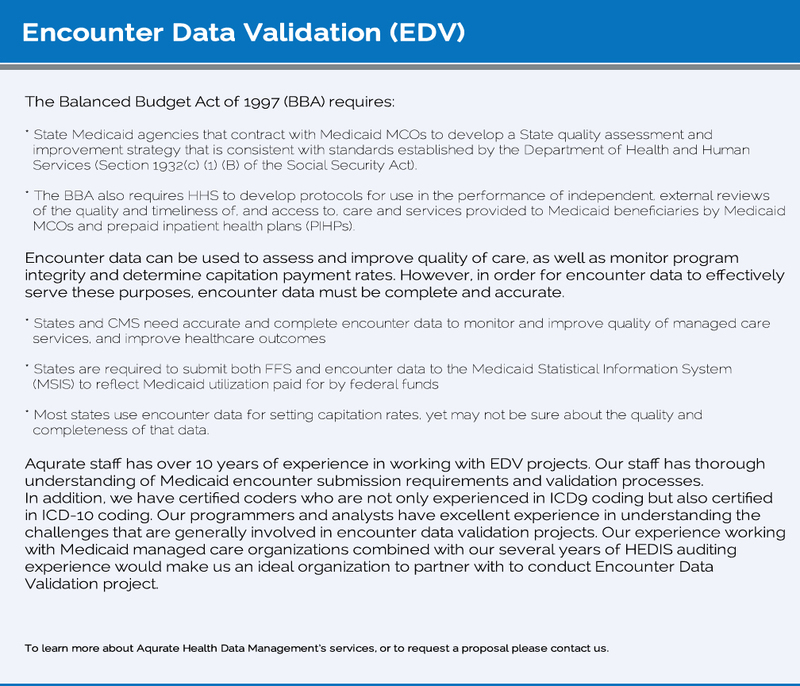 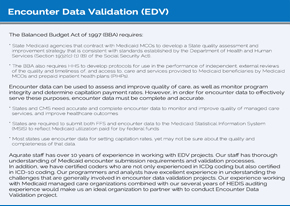 Aqurate staff has over 10 years of experience in working with EDV projects. 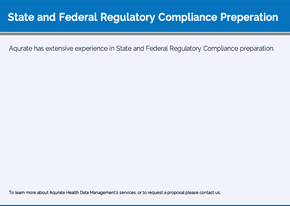 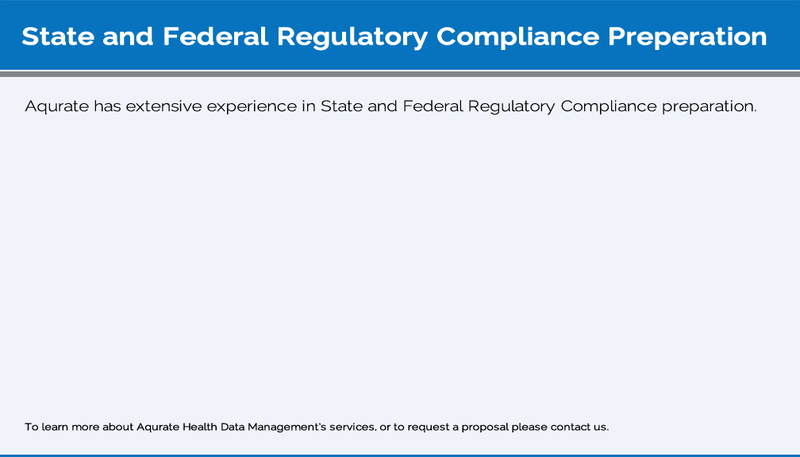 Aqurate has extensive experience in State and Federal regulatory compliance preparation.